Even though some dog breeds look scary, they have a kind and peaceful nature and Newfoundland dogs are one of them. They are absolutely not aggressive toward people, they have a tendency to make their own decisions, they are smart and reasonable. The interesting fact is that these dogs can literally come out of water and still be dry because their fur can’t get wet. Also, thanks to their webbed paws, Newfoundland dogs are excellent swimmers. 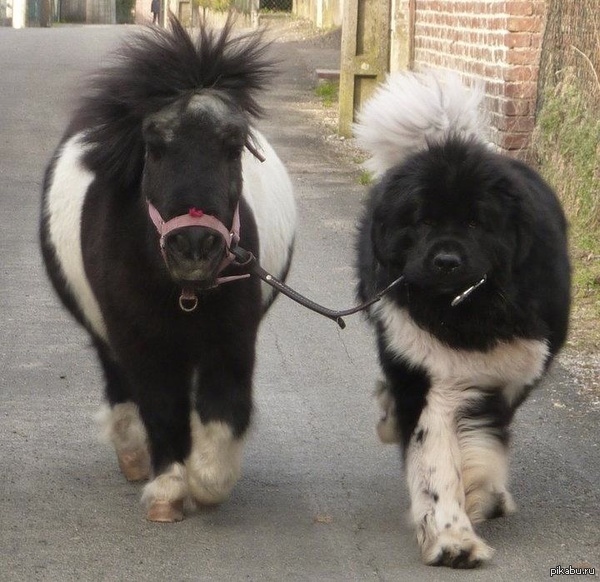 At Bright Side, we would like you to have a look at these funny and cute photos of Newfoundland dogs. And you’ll probably want to take one of these big teddy bears home. 1. 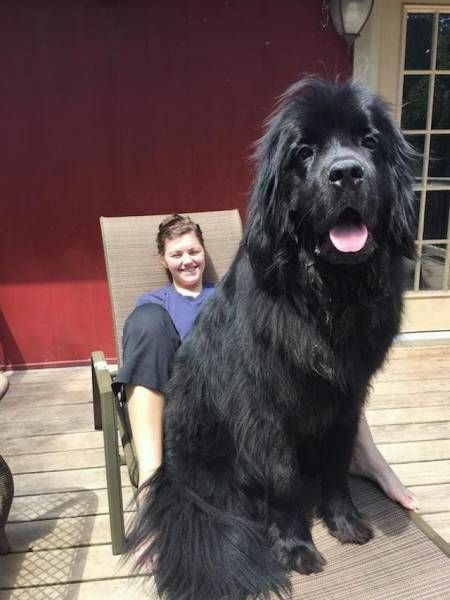 This Newfoundland puppy weighs a little more than 55 pounds. 2. This child is secure. 3. Maybe this cougar is the Newfoundland dog’s pet. 4. This puppy is imagining how gorgeous it will be when it grows up. Do you like Newfoundland dogs? Would you have one at home? Or maybe you already have one? Share your photos of your wonderful pets in the comments below.